By the time they graduate, more than half of the students at the University of Wisconsin–Madison will have taken a chemistry course, a demonstration of the central role chemistry plays in preparing students for their careers. Now, with the start of construction on a $133 million tower and other renovations, those students — as well as faculty and other researchers — will gain access to updated teaching and laboratory spaces to accommodate the next generation of chemical education and research. UW–Madison Chancellor Rebecca Blank, with College of Letters & Science Dean Karl Scholz, chemistry chair Judith Burstyn and chemistry professor and building committee co-chair Robert McMahon, celebrated the formal beginning of construction at a groundbreaking on Friday afternoon, Sept. 14, in front of department members and donors. 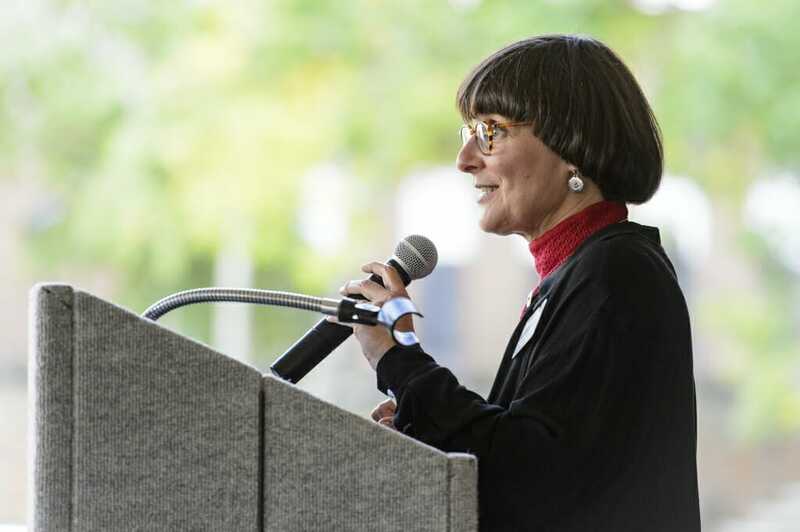 The project is funded with $91 million from the state, with additional funding from the Wisconsin Alumni Research Foundation, the Vilas Trust, the 3M Corporation, university funds and individual donors. The four-year project will be completed in two phases, with renovations slated to finish by early 2022. 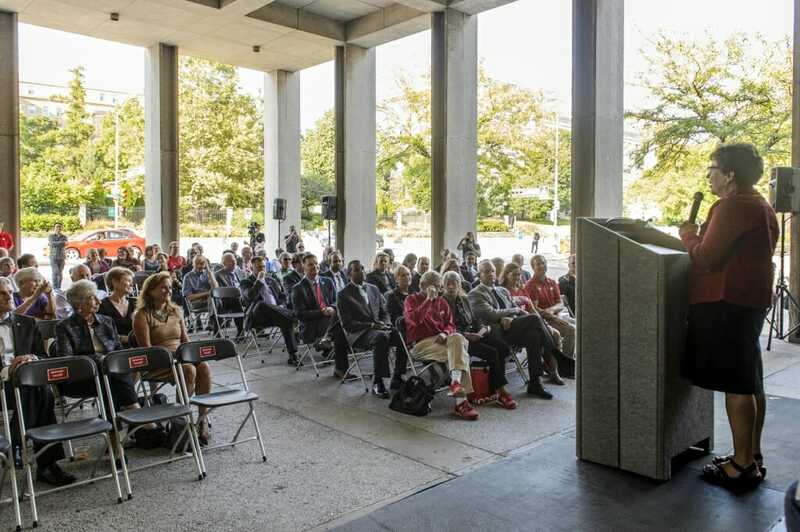 Blank spoke about the special emphasis on teaching, with a new nine-story tower along University Avenue largely dedicated to new lecture halls, teaching laboratories and areas for group work. 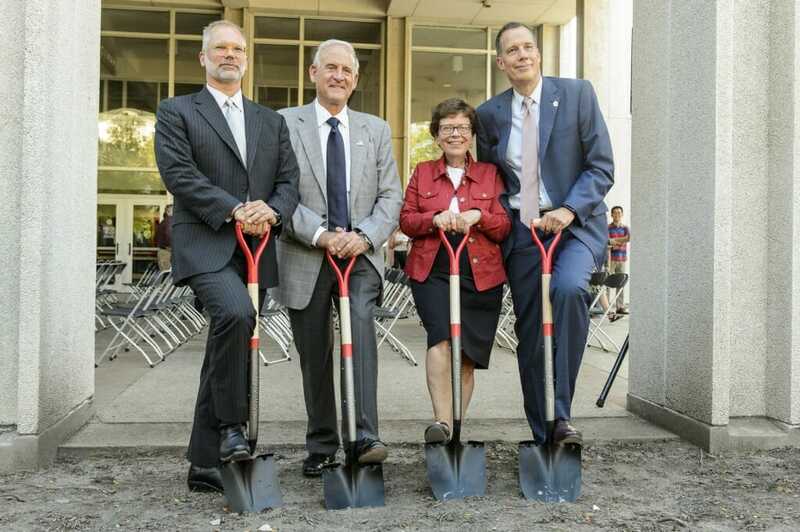 That space, which is now officially under construction, will support a growing contingent of students in engineering, health professions and other scientific fields and relieve pressure on existing facilities. The second phase of construction, beginning in 2021, will remodel parts of the Daniels wing of the building, adding additional teaching labs. Important ventilation and fire-control systems will also be renovated to improve safety. After years of growth, general chemistry has been the university’s highest-enrolled class since 2006. This fall, more than 2,200 students are enrolled, and due to space constraints, undergraduate labs currently run from 7:45 in the morning to 9:45 at night. These courses can be bottlenecks for students, limiting both timely graduation and the ability for the university to increase enrollment. New classrooms were designed with the UW–Madison REACH initiative in mind. This program aims to improve student experiences in high-enrollment lecture courses by emphasizing active learning techniques like small-group work. Flexible seating in the new classrooms will help students team up, while spaces adjacent to labs will let students collaborate when analyzing lab experiences. In 2016, general chemistry instructors began overhauling the two largest lecture courses to promote active learning. 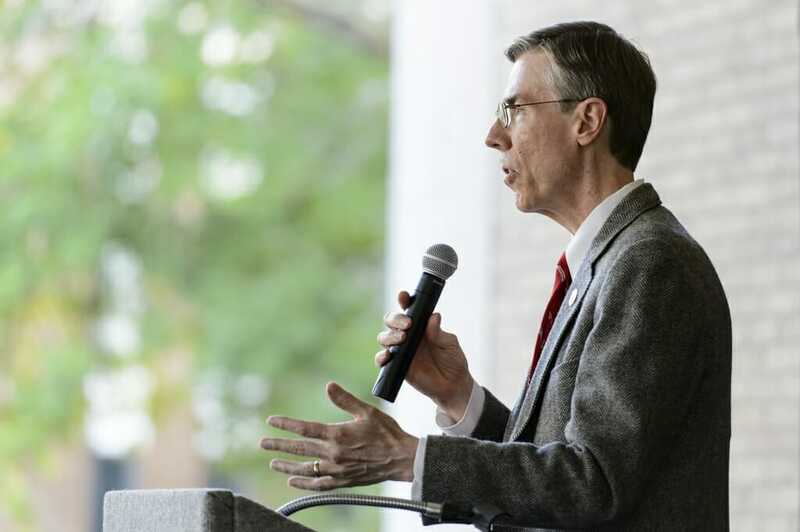 “Our students are going to benefit from the fact that we’ve been thinking about curriculum changes while designing the new addition,” says McMahon, who has helped oversee the Chemistry Building renovations since the earliest planning in the late 1990s. The original buildings were constructed in 1962 and 1965, and most of the teaching laboratories and lecture halls have not been updated in the half-century since. Shain Tower, named for former department chair and chancellor Irving Shain, opened in 2000 with 20 research modules for faculty, graduate students and other researchers. 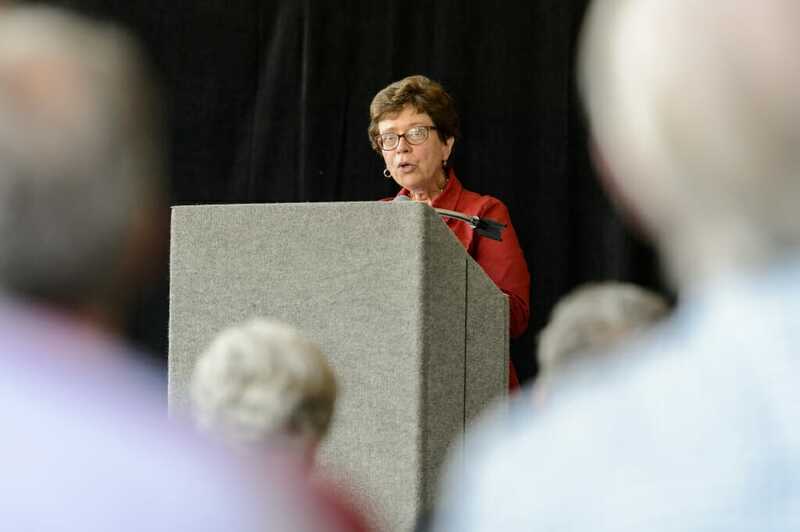 Friday’s ceremony took place exactly 20 years after the groundbreaking for Shain Tower. The current building project began in 1996 when faculty forecasted the need for additional teaching laboratory space. The university acquired the land necessary for new construction in 2009. 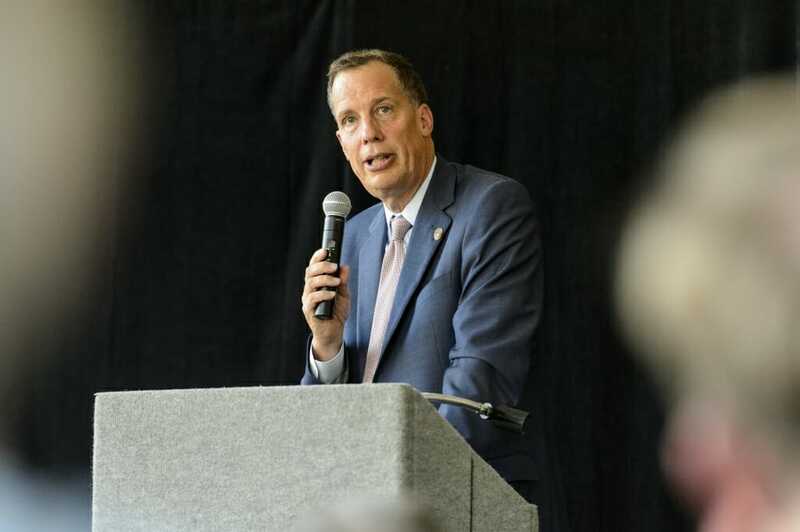 The UW System included the project in its 2013 capital budget request, but the legislature did not approve the request until 2015, providing 80 percent of the funds. Fundraising has since covered the remaining cost. Miron Construction of Neenah is the lead contractor, with additional work provided by other firms headquartered around Wisconsin. Preliminary utility work in support of the building project began in late August along Charter Street, which will have intermittent lane closures through the end of the year.